Here Yee! Here Yee! Free Dining is here!!! Walt Disney World has announced that its Fee Dining Plan offer is available for booking for stays July 5th through September 30th of this year. The free dining plan is available when guests purchase a non-discounted 5-night/6-day vacation package that includes a room at a select Disney Resort hotels and a ticket with a Park Hopper Option or Park Hopper Plus Option. 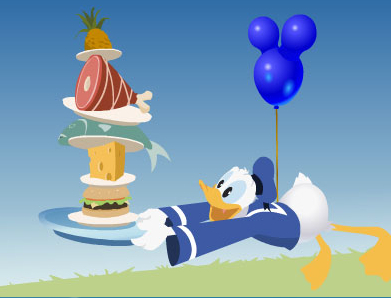 Starting today, if you book a non-discounted five-night/six-day Walt Disney Travel Co. package through Feb. 10, 2019, for arrivals most nights from July 5 to Sept. 30, 2019, you’ll receive a dining plan for free! For guests that use it, the Disney Dining Plan provides flexibility and convenience, offering prepaid meals and snacks when you dine at Walt Disney World resort hotels, theme parks and select locations at Disney Springs. Guests staying at select Value and Moderate Resorts will get the Disney Quick Service Plan, which includes two quick-service meals and two select snacks per night honored at more than 100 dining locations. Guests staying at select Deluxe and Deluxe Villa Resorts will get the Disney Dining Plan, which includes one quick-service meal, one table-service meal and two select snacks per night. Meals are available at over 200 select Walt Disney World dining locations. Walt Disney World has also announce some new Spring discounts. You will need to book your trip by March 24, 2019 to take advantage of the greatest savings. While I and my family have not used the Free Dining Plan on any of our trips to Walt Disney World, I know plenty of people who have. Are you a fan of the this? After a lot of anticipation, Walt Disney World has finally officially announced that Free Dining is back for select dates for this fall and winter and is now available. In order to take advantage of Free Dining, guests must purchase tickets that include either a minimum 4-day Park Hopper or the Park Hopper Plus option. Additionally, guest must book a 4-night minimum/maximum stay of fourteen nights. Most people are expecting very limited availability in some cases, so don’t be surprised if your desired room category or resort is already not available or “sold out.” Flexibility is the key when it comes to Free Dining! Enjoy a FREE meal at a quick-service location per person, per night when you buy a non-discounted 4-night/5-day room and theme park ticket package at a Disney Value Resort hotel. Offer valid for arrivals most nights May 29 through June 30, 2016 and July 5 through August 13, 2016. Book now through February 29, 2016. The number of rooms allocated for this offer is limited. Tickets are valid for one theme park per day and must be used within 14 days of first use. All Guests in the same room must be on the same package. Check availability for packages with other lengths of stay. See Important Details.